As the Australia-China relationship is buffeted by geopolitical headwinds, universities must mitigate their reliance on Chinese funding. 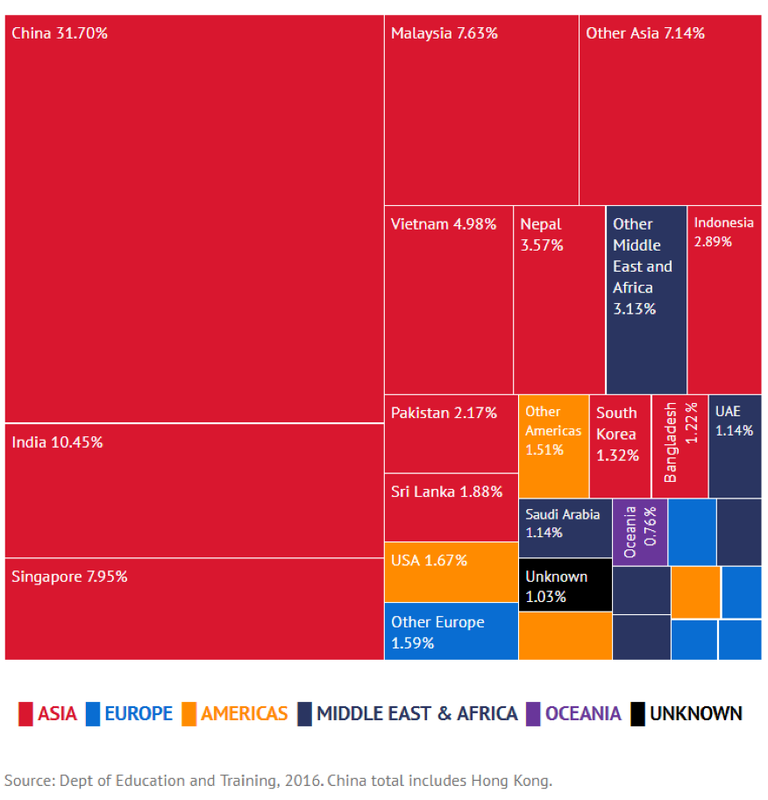 Chinese students are by far the largest cohort of foreign students enrolled at Australian universities. For the 2016 academic year, Chinese students made up 31.6% of all foreign university students in Australia. And as of October 2017, the number of Chinese university student enrolments totalled 133,325. This cohort has expanded rapidly in recent years, at an average rate of 11% annually since 2002, and injected US$6.9 billion into university coffers in the 2016-17 financial year alone — an increase from the US$5.5 billion of two years prior. By conducting our analysis on this issue through a broad-scope geopolitical lens, Foreign Brief Advisory (FBA) offers the context and perspective necessary to properly understand a latent risk that has become obfuscated by recent public and political discourse regarding China. In our analysis of the geopolitical variables at play in the China-Australia relationship, FBA will provide unique insight into the level of risk the Australian Higher Education sector is truly facing regarding potential threats to the future continuity of Chinese students in Australia. As international education is Australia’s third largest export — with the gained export revenue supporting jobs for around 1.3% of Australia’s total employed population — it is vital for industry and government to develop a nuanced understanding of the potential future risk scenarios. FBA will not only provide this understanding but will also suggest risk mitigation policies to weatherproof this economic asset. Chinese students make up 42% of all international students at universities in New South Wales (NSW), and nationally the prestigious Go8 institutions are particularly exposed, with Chinese students making up 60% of all foreign student enrolments. This Go8 faction represents more than half of the Chinese student body in Australia. The two largest Go8 universities in NSW — the University of Sydney and University of New South Wales (UNSW) — are particularly reliant on tuition revenue from Chinese students. 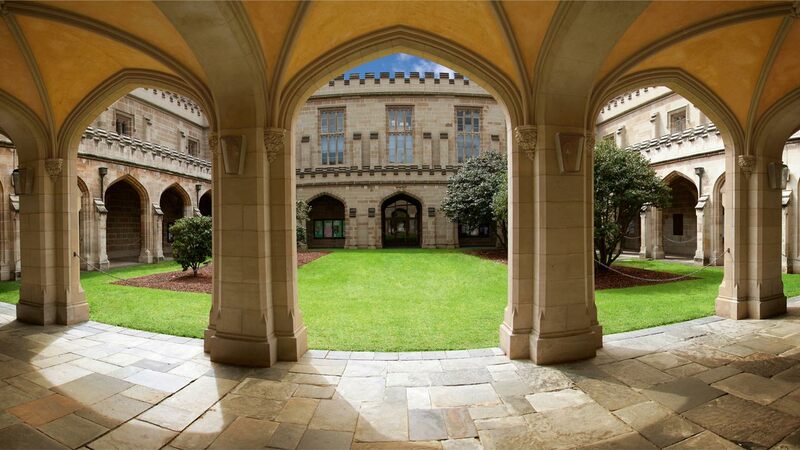 In 2016, Chinese students made up more than 20% of the University of Sydney’s entire student body, with at least 16% of its operating revenue that year coming from Chinese student fees. Similarly, the entire Chinese student body at UNSW is around 21%, and UNSW relies on Chinese student fees for 19% of its overall revenue. Australia’s universities that focus on STEM research are the most dependent on Chinese funds as around a quarter of postgraduate researchers in STEM fields in Australia are Chinese citizens. This has been augmented by the recent establishment of joint China-Australia research or commercialisation ventures at some of these universities – for instance, large contracts secured by UNSW upon the creation of the China-funded Torch Innovation Precinct, which is potentially worth more than AUD$100 million. Established in 1988 and run by China’s Ministry of Science and Technology, China’s Torch program has facilitated industry-university research and collaboration partnerships. The added value provided here by the Torch program is responsible for 11% of China’s GDP. This facilitation by the state includes establishing high-tech industrial development zones, technological innovation funds for SMEs, and technology-business incubators. The Torch program holds huge value for host locations, significantly boosting R&D opportunities and enabling hosts to be at the forefront of the modern knowledge economy. Since UNSW became a Torch host in 2016, 30 firms (29 of which are Chinese) have signed on to the UNSW Torch hub. The concern for many security and defence practitioners in Australia is that at least seven of these firms — handpicked by the Chinese government — are located in industries with dual-use military potential like aerospace and nanotechnology. It should be noted that the research occurring at UNSW Torch hub is funded by the firms themselves, not the Chinese government. However, this public-private sector distinction is sometimes irrelevant in the Chinese context as the Chinese government often has close links with companies it considers to have strategic importance. For instance, Huawei, one of the UNSW Torch participants, is often accused of being an arm of Chinese intelligence, and has already been barred from involvement in Australia’s NBN network. Links between Chinese researchers at UNSW (and other universities) and China’s People’s Liberation Army are also a growing unresolved problem in Australia’s defence technology regulatory system. While Australian research collaborations with foreign governments and/or military bodies aren’t uncommon, critics argue that such collaborations with a state like China are self-harming as Beijing often pursues aims counter to Australia’s national interest. While the vast majority of Torch projects have no obvious potential military use, some projects — like blast-resistant material and “High-Precision High-Speed Driverless Field Vehicles” with “unmanned military vehicles” listed as a potential application — are not as benign. The UNSW Torch program has been very explicit in sticking to Australian defence export controls and operating with full transparency. 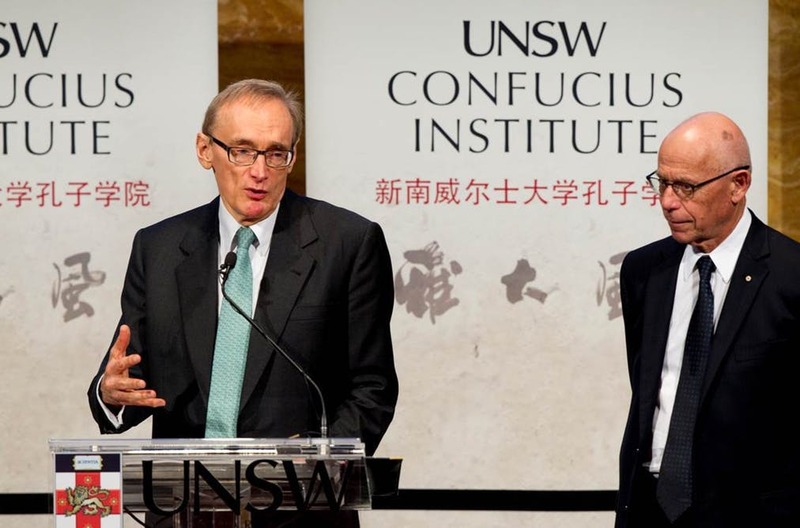 However, in a potential future scenario of increased security tensions between Beijing and Canberra, this transparency may not be enough for more hawkish political actors who may push to increase regulation on the UNSW-Torch partnership. Considering that the Torch UNSW program is expected to contribute AUD$1.1 billion to Australian GDP in its first decade, it is unlikely the government will implement measures that will target the aggregate output of the program. However, a potential future move by the government could be to impose tighter controls over what sort of research is permitted. Tighter regulation of this nature would be an unattractive proposition for Chinese PhD students and researchers considering moving to UNSW for academic collaboration in the Torch program. The complexity of the technologies produced within the Torch program, and the increasing complexity of modern hi-tech warfare, means scientists and those responsible for ensuring Torch projects pass Australian defence regulations often aren’t certain about technologies’ military usage potential. Research programs involved in these grey-area technologies could hence be an early target for Australian government regulators operating in a future environment where Sino-Australian security relations have deteriorated. If regulatory procedures aren’t improved, this could pose a problem for UNSW’s research agenda in certain future scenarios. While Sino-Australian economic relations continue to go from strength to strength, the diplomatic relationship is increasingly fraught. The furore in Chinese state media and the Chinese Foreign Ministry last year over the Australian Foreign Policy White Paper, Australia’s South China Sea policy, and foreign interference laws illustrates the growing frustration towards Australian policy discourse that is taking hold in the political establishment in China. The ‘China threat’ discourse often peddled by the Australian media, and the subsequent lack of nuance in the public debate, has done little to ameliorate this furore. The effect of this deteriorating sentiment is not confined to direct government relations, with Australia being voted by 59.6% of participants in an online Global Times poll as the “least friendly country to China in 2017.” In comparison, India received 13.5%, the US 10.8%, and Japan 9%. Following Australian Security Intelligence Organisation warnings about China’s state-sponsored interference in Australian politics and society, the Australian government introduced new anti-foreign agent laws in December 2017. Prime Minister Turnbull singled out Beijing when announcing the new laws, marking a significant escalation of rhetorical tension that was met by a strong rebuke from China. The overt politicisation and subsequent conflagration of the rhetoric surrounding the China-focus of the legislation – aided in no small part by the dismissal of Labor Senator Sam Dastyari for inappropriate ties to the Chinese government – pushed Beijing to match the assertive rhetoric. The foreign interference laws are a proxy for the broader issue of Australia (in the eyes of the Chinese Foreign Ministry) using the Australia-China relationship as a political football. The debate over Chinese state interference in Australia is expanding into ever more sectors of society, as evidenced by the move by the NSW Department of Education in May to review the future of Confucius Institutes in its schools over fears on untoward influence. The subsequent increasing politicisation of the debate will likely lead to increasing polarisation over the issue, thereby also increasing the likelihood of alarmist and over-zealous responses directed at, or referring to, China. Beijing’s militarisation of the disputed islands and the increasingly aggressive operations of its coast guards in the South China Sea (SCS) directly threaten Australia’s entrenched and well-publicised desire for a “rules-based order”. The SCS dispute is the key arena in which China is testing its new assertive foreign policy model – using coercion to achieve its territorial aims while banking on its increasing economic preponderance to dampen the desires of other nations to overtly push back – and as such is highly unlikely to reverse its policy. While the US has conducted freedom of navigation operations (FONOPS) in the SCS in an attempt to keep Beijing in check, Australia has thus far resisted US calls to do likewise. Australia was one of the only nations to publicly assert that the Hague ruling was binding. Taking into account this and the aforementioned souring of political rhetoric towards China, conducting FONOPS in the SCS is one of the few remaining avenues of escalation Canberra could take if it finds itself in a position where further displays of resistance are deemed necessary. Indeed, reports have emerged that support for such a move is building. US President Donald Trump’s public call in February for Australia to join in FONOPS is leaving Canberra increasingly less wiggle room to avoid the issue and maintain its policy of ‘strategic ambiguity’. Beijing has already raised official concern around general Australian naval presence in this maritime area, and participation in FONOPS would likely draw a more concerted response. Recent calls have been made in Chinese state media for Beijing to “figure out tactics that can silently make Western institutions and individuals truly feel the pain” in response to perceived antagonistic Western policies and rhetoric. In the event that Beijing takes sufficient offence to future Australian positions vis-à-vis the above flashpoints, it could move to restrict the number of Chinese students allowed to study in Australia. The withdrawal of Chinese funding to the aforementioned joint China-Australia research centres hosted by Australian universities could also accompany such a move. China had a similar response to growing tensions with Taiwan following the election of pro-independence President Tsai Ing-wen. By withholding study permits, Beijing subsequently halved the number of students approved to study in Taiwan for the 2017-18 academic year. Tamkang University, one of the institutions particularly affected, is expected to lose US$1.2 million in revenue over the next four years. Beijing has already begun laying the groundwork to impact the flow of students to Australia. More than 20 Chinese school visits to NSW were recently cancelled because of the increasingly strained bilateral relationship. China’s Ministry of Education also issued a pointed safety warning in February to its students in Australia as a result of heightened tensions. This builds on similar well-publicised safety warnings in December 2017 from the Chinese consulate in Melbourne and the embassy in Canberra. Considering that the level of safety is one of the top reasons Chinese students have traditionally chosen to study in Australia, and how safety warnings in the past have had clear and significant impacts on foreign student numbers in Australia, the effect of these warnings should not be taken lightly. While Chinese student enrolments have increased this year, the effects of deteriorating relations over the past few months would have come too late in the application window to have an effect on the majority of Chinese applicants. As such, it would be premature for universities to think they have avoided repercussions. The public and vociferous criticism raised by Beijing over safety factors means it may well paint itself into a corner whereby it is forced to take action. Should this eventuate, the Australian tertiary education sector is the easiest large Australian target for Beijing. Pulling levers to decrease Chinese student flow to Australia is a relatively low-risk strategy for China’s political leaders. Such a move would not harm Chinese businesses, is unlikely to risk an Australian response in the World Trade Organisation, and would not cause a deterioration of the security environment that could cause nations to align against Beijing. A primary method employed by Beijing would likely be robust campaigns in Chinese state media deploring the ‘deteriorating’ safety environment and rising xenophobia likely to be experienced by Chinese students on Australian campuses. 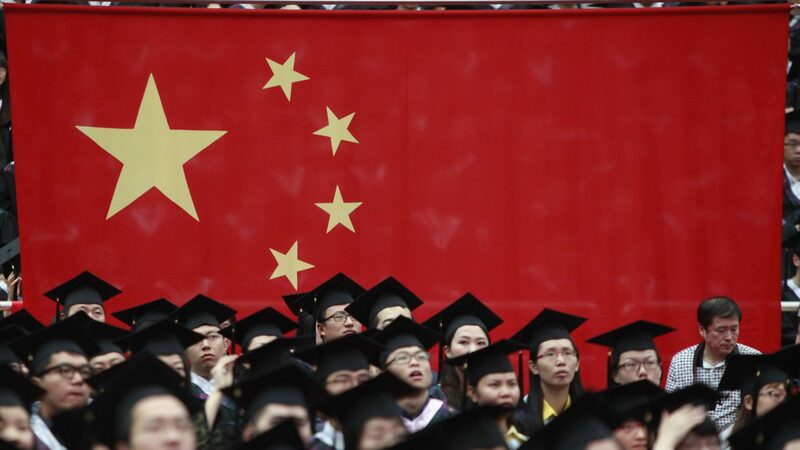 Beijing could also make it difficult for Australian universities to market themselves in China. This could take the shape of using internet censorship to block university web pages and advertising; closing universities’ liaison offices in China; or preventing Australian universities from attending Chinese tertiary education fairs, a key source of recruitment and promotion. China is pumping considerable resources into its rapidly improving tertiary education sector and has consolidated its position as the world’s largest investor in Research and Development. This combination could lead to the allure of international education no longer outweighing the prospect of domestic education for Chinese university students. Signs of this are already appearing, with the year-on-year growth rate of Chinese traveling abroad for education slowing from 12% in 2009 to 0.1% in 2015, with a similar trend expected to continue into the next decade. Such trends are likely to start being felt in Australia, seeing as top Chinese universities are now overtaking Australian universities in global rankings. The rising quality of Chinese universities has resulted in Chinese recruiters and employers putting less emphasis on international study qualifications, instead often preferring students who are more familiar with the domestic market as a result of not having spent several years overseas. The increasingly saturated Chinese graduate market – graduate underemployment is a systemic issue – means many prospective Chinese students see costly international education as an unnecessary financial risk, instead preferring to study at Chinese institutions while also fine-tuning their China-specific job skills. Considering that entry into China’s high-quality institutions – the institutions that carry weight regarding job prospects – is still highly competitive, the rationale of choosing to study abroad is still strong. However, as the number of quality Chinese universities increases this calculus will begin to change. Recent Chinese policy has compounded this decline by incentivising those citizens who do travel abroad for tertiary education to do so in Belt and Road Initiative (BRI) signatory countries. Australia is not currently a signatory to the BRI. Strengthening people-to-people links by increasing student relationships and exchanges is one of the four specific BRI policy aims outlined by the Chinese Ministry of Foreign Affairs. Beijing’s Ministry of Education has conceived of a student exchange program that will see 2,500 Chinese students sponsored to study in BRI countries and 10,000 foreign students from BRI countries sponsored to study in China each year. While these numbers admittedly represent only a fraction of the outbound Chinese student population, the momentum in BRI student exchange partnerships has been expanding considerably in the past few years. Over 350,000 Chinese students have gone to study in BRI nations since 2012 and 45 education cooperation agreements were signed as of April 2017. Education is increasingly becoming a dynamic foreign policy tool for the Chinese state. As Australia is yet to completely embrace the BRI — with its current association being a limited and tentative MoU — this could lead to a future situation where Australia’s share of the Chinese student cohort begins to decline, with students opting to study in countries who are more prevalent in Beijing’s BRI designs. With recent constitutional changes potentially extending President Xi Jinping’s tenure for the remainder of his lifetime, his signature BRI and its policy aims are only set to be further consolidated. As such, if Australia does not show foreign policy dexterity in ensuring it can integrate with this changing Chinese foreign policy context, the Australian higher education industry could find itself left behind. President Xi has consolidated his ‘China Dream’ policy paradigm of national rejuvenation and China reclaiming its rightful perch in global politics. 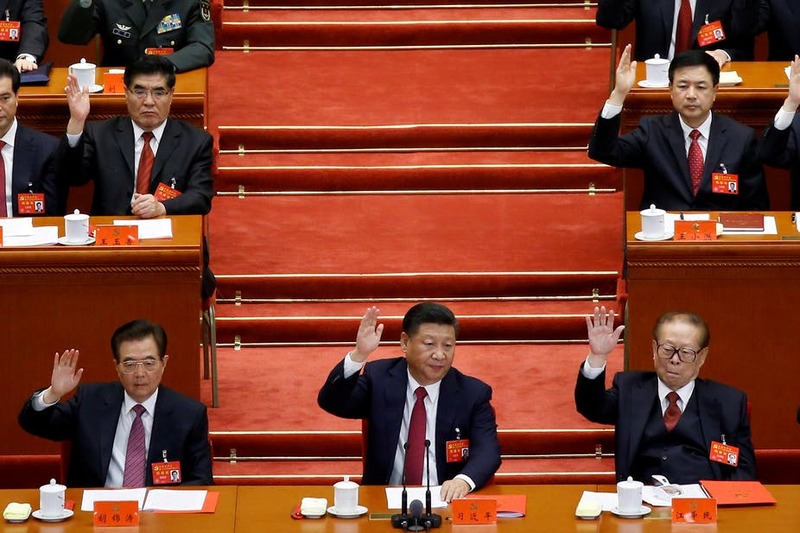 The tenacious patriotism with which President Xi couched the latest iteration of this policy at the National People’s Congress in March should leave no doubt as to the vigour with which it will be pursued. A key aspect of this is the United Front Work Department (UFWD) which, among other things, seeks to mobilise the Chinese diaspora to support China’s increasingly assertive territorial claims. Chinese students studying abroad are a key focus of the UFWD, with this relationship already apparent in Australia. Indeed, the Chinese Ministry of Education has openly called for Chinese students studying abroad to increase their level of patriotism and loyalty to the Chinese Communist Party (CCP) as part of Xi’s national rejuvenation push. While the vast majority of Chinese students in Australia are not directed by CCP influence, there is likely a small minority whose patriotic tendencies could be exploited or increased on issues like human rights, Taiwan, Tibet, Xinjiang, and the South China Sea. This small but vocal minority could have an outsized effect on Australian perceptions of the wider Chinese student population. Some Australian students already harbour resentment of the Chinese student population due to the belief that the large number of Chinese students reduces the quality of their education. Such sentiments typically relate to beliefs that administrators reduce the academic rigour of courses to accommodate the sub-par English capabilities of some Chinese students. The language barrier is likewise occasionally raised as a burden on Australian students required to work with Chinese students in group projects. As such, even a minor incidence of over-zealous Chinese students espousing patriotic CCP positions in protest at material taught at Australian universities could cause backlash from Australian students. 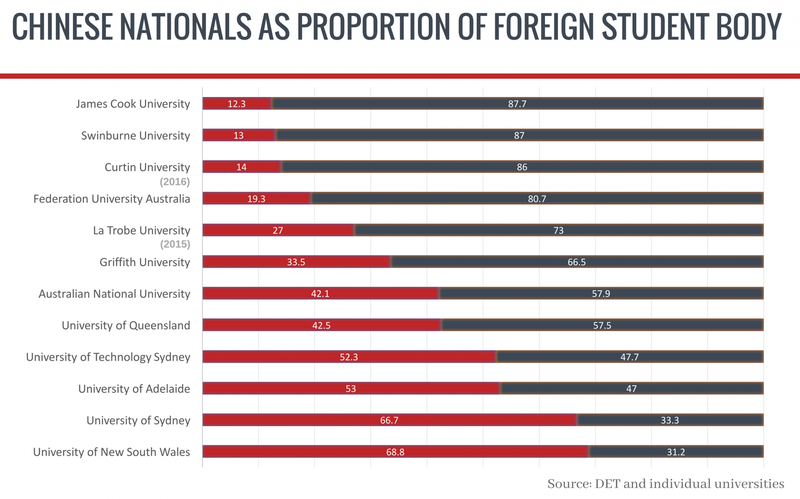 Considering that Chinese students already rate the opportunities to interact with Australians 10% lower than foreign students from other nations and that the Chinese student body tends to be more insular, the potential for an invidious ‘us vs them’ environment to emerge is clear. A 2016 study by The Centre for China and Globalization showed that a “safe and stable social environment” is a key reason traditionally attracting Chinese students to Australian universities. If student tensions were to rise and hostilities directed at Chinese students increased, then Australian universities would lose a significant amount of their allure for Chinese students. As the domestic Chinese job market is placing increasingly less importance on graduates with international study experience, the above situation would leave prospective Chinese students with little incentive to study in Australia. In fact, Chinese students are already beginning to feel that the lack of work experience opportunities available in Australia to augment their education and increase their employability is leaving them little option but to return home. While growing anti-globalisation and anti-immigration sentiment in Europe and US has seen declining international student numbers in those regions, Australia’s numbers have been increasing. This momentum provides an opportunity for Australia to position itself as a leader in promoting bilateral human talent flow and student migration. In order to best achieve this, Australia could enlarge its currently limited MoU on BRI to integrate itself within the BRI student exchange initiative. By emphasising partnership in human capital (like education) as opposed to physical capital (the dominant infrastructure element typically associated with BRI) may assuage the fears of those in government who are concerned at BRI’s predatory potential. China has already emphasised that increasing people-to-people links is a central tenet of BRI and has expressed interest in Australia joining, so there is a pre-existing foundation to build on vis-à-vis Australian policy. Should the Federal Government pursue such a policy, Australian universities would be more robustly integrated in the future of Chinese student migration. President Xi’s ‘Made in China 2025’ strategy aims to position China as a world leader in indigenous innovation, green development, and hi-tech industry. The anticipated investment is set to drastically increase the need for Chinese entrepreneurs to drive the innovation economy that will be pivotal for the strategy. As the Chinese graduate market is increasingly saturated with graduates possessing ‘hard skills’ and strong ‘traditional’ educations, Made in China 2025 presents an opportunity for Australian universities to establish an attractive point of difference for prospective Chinese students. 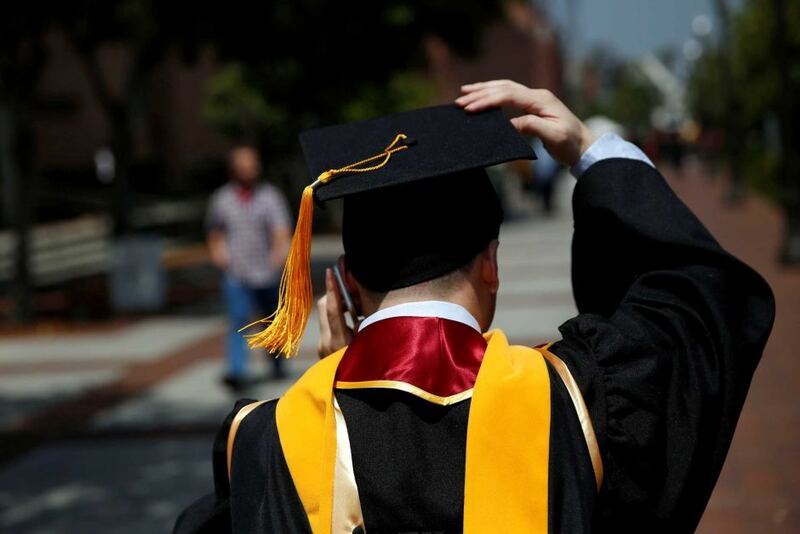 Many returning Chinese students are finding their international degrees insufficient to distinguish themselves in the now cutthroat Chinese job market; Australian universities must adapt to provide prospective Chinese students with the skills to set themselves up in the changing Chinese economy. Underemployment is a significant reality facing many Chinese graduates. As such, the higher-level job creation that entrepreneurship represents becomes increasingly vital. A major desire of Chinese graduates returning to China is entrepreneurship, which sets in even before reaching the point of returning to China; nearly 50% of Chinese students say they hope to start a business while still on campus. Chinese students currently suffer from a lack of education in entrepreneurship through secondary school, and more than 97% say they would benefit from education in this area from entrepreneurs and experts. To this end, Australian universities could provide degrees giving greater emphasis to entrepreneurship. This could include augmenting existing business degrees with more entrepreneurship-focused extracurricular activities. Universities could also establish strong partnerships with local incubators and accelerators, providing mentorship opportunities for students. Considering that China’s current economic re-structuring is generating huge emerging opportunities for entrepreneurs outside of the usual Beijing, Shanghai, and Shenzhen hubs, Australian universities could develop relationships with start-up industries in emerging ‘tier-one’ Chinese cities, providing valuable links and pathways for Chinese students. The importance of proactivity in this area should not be understated. Providing internship opportunities and innovation education has already been raised by international students as a key aspect determining their future likelihood to study in Australia. The nascent Chinese economic reorientation is set to transform the primary desires of the Chinese student market. If Australian universities don’t acclimate to these changing trends they risk losing their appeal and relevance to prospective Chinese students. In 2016 the CCP’s Central Committee released a document outlining aims to leverage the experience of their returning students who studied overseas. One of the stated aims involved “using returnees’ social impacts to enhance cross-regional civil communications”. To take advantage of and respond to this Chinese policy aim, Australian universities could focus on promoting and strengthening their respective chapters of the Australia China Youth Association (ACYA). The Federal Government could contribute by providing resources for more national-level ACYA conferences to discuss, firstly, ways to better the Chinese student–Australian student relationships, and, secondly, how to engage youth from both nations to enhance China-Australia links. Initiatives like the China-Australia Millennial Project could also be promoted by the government within the bilateral relationship, both through awareness-raising and funding support. This would not only provide a forum to improve future Chinese-Australian student integration at universities but would also be a case of savvy diplomacy vis-à-vis the abovementioned CCP policy directive. Furthermore, this sort of experience would help Chinese students develop the high-level ‘soft skills’ like communication and leadership that have been raised as a serious deficiency in the early-career Chinese workforce. This would be a highly attractive point of difference for Chinese students considering study destinations in terms of the enhanced career prospects it could provide. As Asian universities are set to be given greater emphasis by the BRI student initiative, Australian universities should ensure they have strong Chinese student alumni organisations established in order to maintain and leverage the people-to-people links established during Australian degrees. Promoting and resourcing these organisations, as well as integrating them with the pre-existing Australia China Alumni Association, would serve not only as an attractive career-enhancement prospect for Chinese graduates, but would also be an effective and inexpensive marketing tool for Australian universities. University-level cooperation initiatives and bodies also provide a key avenue through which Chinese and Australian universities can collaborate to increase ties and cross-cultural understanding in the Sino-Australian education space. 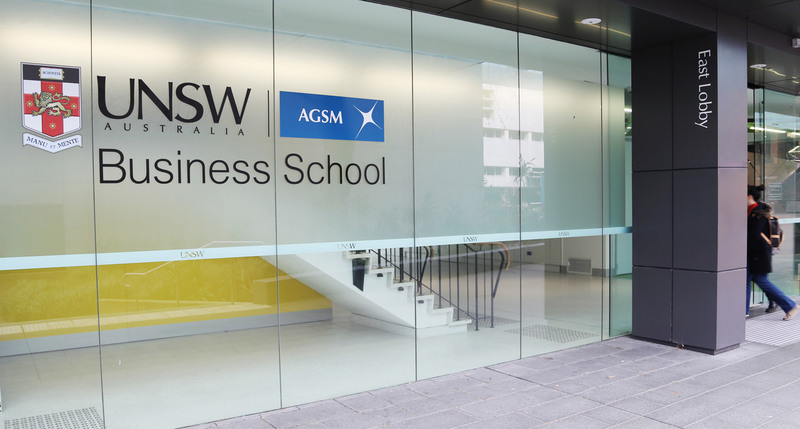 Organisations like the Australia Education Management Group (AMEG) which facilitates Sino-Australian university management cooperation, teaching collaboration, and the exchange of academics, are a valuable resource in aiding the Chinese postgraduate student flow to Australia. Accordingly, Australian universities should look to increase their engagement with bodies like AMEG. Additionally, the Federal Government could consider financial support for such organisations to enable increased partnerships. Universities must be stringent in rejecting demands by Chinese consulate officials to change course content regarding issues that are sensitive to the CCP — on the issue of Taiwan, for example. Universities must similarly prevent over-zealous Chinese students from hijacking class discussions that deal with these sensitive issues. Intellectual freedom is a cornerstone of the strong reputations that Australian universities enjoy. While universities may feel they are winning favour with their Chinese student base by genuflecting to Chinese officials’ demands, this is more likely to signal to Chinese students considering studying in Australia that the academic standards that make Australian universities attractive are declining. It may also cause the development of tensions between Australian and Chinese students as mentioned above. A further way of preventing ill feeling between the Australian and Chinese student populations is to enforce an acceptable English proficiency standard for incoming students. The language barrier, and the inability to relate to each other this brings, is a significant cause of segregation where it exists between Australian and Chinese students. While this may see some short-term financial pain and extra work for universities, it will bring significant long-term gain. Australian universities and the Federal Government should escalate measures to increase the number of Indian students studying in Australia. On many issues, India is a geopolitical rival of China, and aligns with Australia on matters like China’s increasing maritime assertiveness. As such, future cases of Sino-Australian geopolitical flashpoints deteriorating may even result in stronger Indo-Australian relations as India will look for opportunities to balance against China’s growing regional influence. Therefore, the future continuity of Indian student flows to Australia is exposed to significantly less risk than the equivalent Chinese flow. This stability can’t be guaranteed with many other Asian nations that are prime sources of foreign students for Australia — for instance Nepal and Malaysia — as they are typically BRI-signatory nations and often more beholden to Beijing’s sphere of influence. This policy also makes sense when looking at the numbers. India is, along with China, the major global source of foreign students; the India-China share of global outbound foreign students is predicted to equal 60% by 2027. However, the rate of increase of the Indian share is set to be much higher than China’s, with the current Indian total increasing 240% by 2027. A further justification of the need to pursue the Indian market is that it’s predicted to soon emerge as the second fastest growing youth population while China is predicted to soon be the tenth fastest declining youth population. A supplement to this would involve Australian universities opening campuses in Indonesia, taking advantage of Jakarta’s recent move to open Indonesia’s university sector up to 100% foreign investment. While Indonesian students would not be paying international student fees, the size of the Indonesian student cohort that Australian universities may gain direct access to would potentially go a long way to weatherproofing future downturns in the foreign student cohort at domestic Australian campuses.